What’s the fastest way to get to level 80 on World of Warcraft? That may seem like a trick question, especially with all the leveling guides that are on the market these days, but the fact of the matter is that there is no quick way to get to level 80 without utilizing the dungeon finder tool. The dungeon finder was introduced to WoW in patch 3.3, and it allows players from all the servers in each server group to find groups to run instances. This means you will play with players from other servers, and it also means that you don’t have to wait until your server’s peak play times to be able to find a group. For as long as World of Warcraft has been in existence, the age-old question has been about the fastest way to get to the top level of the game. The highest level in WoW right now is level 80, and when the Cataclysm expansion arrives, it will then be level 85. Of course many WoW players love the process of questing and leveling, but there is just too much additional content to enjoy at the highest level. Level 80 is where much of the social interaction occurs, and it is where players get the chance to get better and better gear. This is why traditional leveling guides have been so popular. Players want to get to enjoy that end-game content as soon as they can. However, the problem with all of those old leveling guides is that they are now pretty much obsolete. Players find that they earn their levels so much faster than what the old guides account for that they are simply leveling too fast for the guide to keep up. This results in skipping entire sections of the guide and often getting lost. Before one instance, the player was supposed to level in one area of the game, but after he ran a couple of instances by level, he then had to run across the map to another area of the game to keep questing. This is where having an instance leveling guide comes in handy. 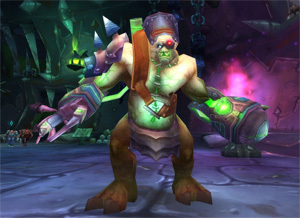 Guides like Dugi’s Dungeon Leveling Guide are written specifically for players who are instance leveling their toons. Dugi’s makes it easy to skip quests, and it takes into account the speed involved in instance leveling. All the references to grinding are now gone, and players can find themselves earning several levels in just one session of gameplay. Dugi’s even includes color maps for the lower level dungeons. The makers of WoW never thought their lower level instances would be played much, so they didn’t even bother to include maps for them in the game. This can make it very difficult when you’re trying to figure out which way to go, so the maps included in Dugi’s Dungeon Leveling Guide are very valuable. All in all, this new way to level characters has turned the game upside-down, and an instance leveling guide is the perfect solution to finding your way.